The Committee of 200 is an organization formed by the world’s most successful women entrepreneurs and corporate innovators. This year, C200 is joining the Engineering Leadership Institute at the University of Florida to bring world-renowned thought leaders to the UF campus for a unique and inspiring one-day event – Powered to Lead: Transforming the Future as Women. 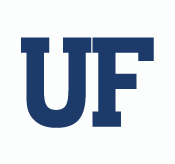 Among public and private institutions, UF is ranked within the top ten nationally for the number of engineering degrees awarded to women. There are over 40 trailblazing women faculty at the college, and countless alumni serving as role models for the next generation of women – including C200 member and UF Distinguished Alumna Linda Hudson, a keynote speaker at this year’s summit. Engineering is the foundation of the global economy. C200 members have achieved the highest levels of corporate leadership, and at the Herbert Wertheim College of Engineering, women are transforming the future of engineering. This is going to be a monumental conversation. Join us online with #Powered2Lead and #C200UF – and on March 8, 2016 at the newly renovated J. Wayne Reitz Union on the UF campus – to deepen the discussion on the role of women in the technology workforce, the benefits of building diverse and inclusive work environments, the art of managing work-life balance, and much more. Learn practical strategies for career and personal advancement. The women business leaders from C200 will engage students, alumni, faculty and friends in discussions about leadership, STEM education, and transforming the future. Hear real stories from women who have reimagined their roles in the workplace; take a journey as they share the pivotal moments – the good and the bad – in their lives that led them to defy the odds and reinvent what it means to be a leader. Ask your most pressing questions about work-life balance, being a woman in science and the engineering fields, the importance of diversity and inclusion, and much more in six dynamic sessions throughout the day. During lunch, you will have the chance to interact directly with C200’s incredible female leaders.